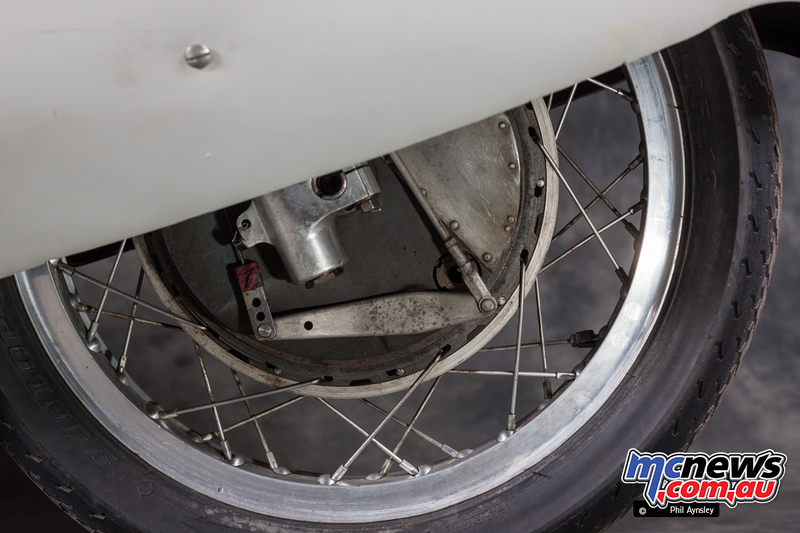 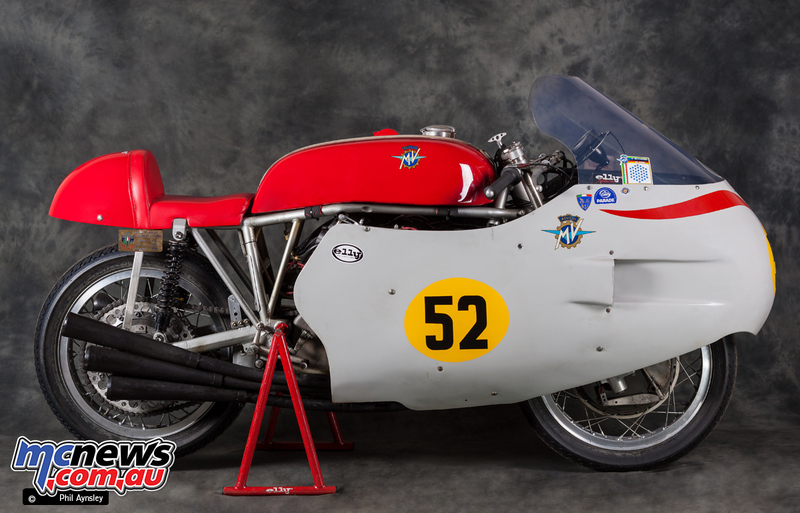 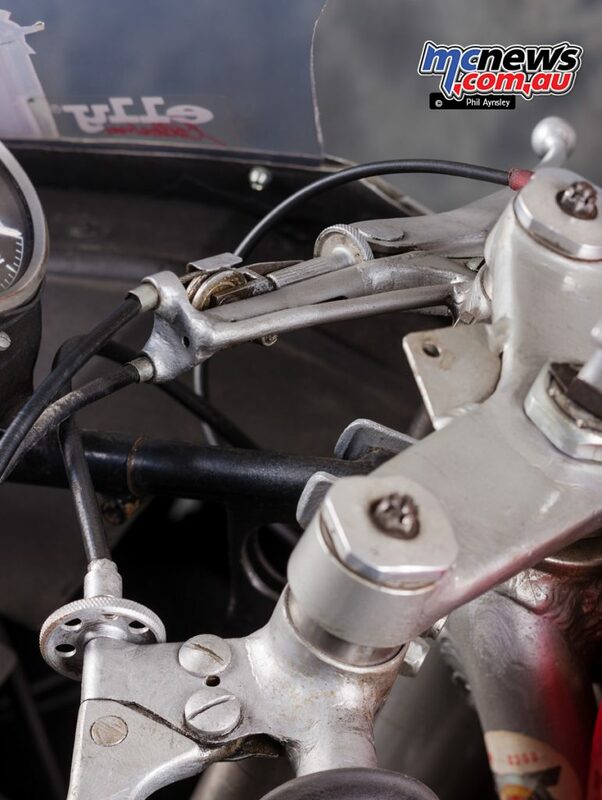 Competition in the 500cc Grand Prix class was reaching new heights in the late 1950s and Gilera’s extremely successful 500/4 was at its peak. 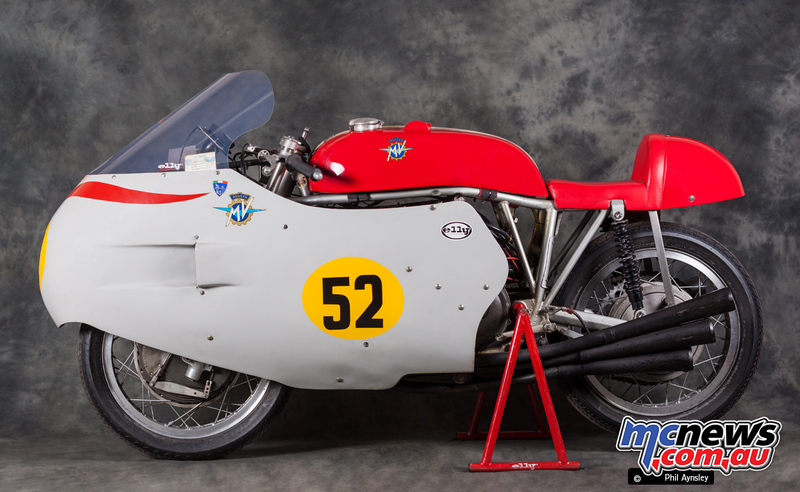 Moto Guzzi was bringing its fabulous V-8 to the track. 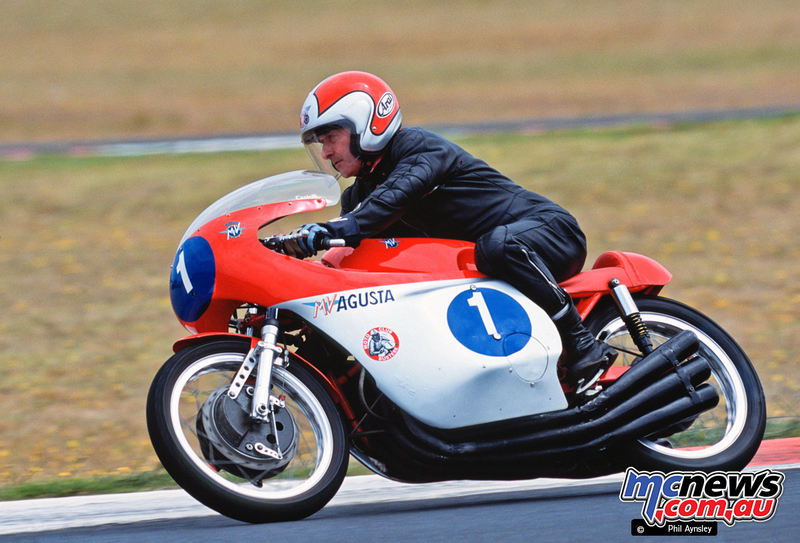 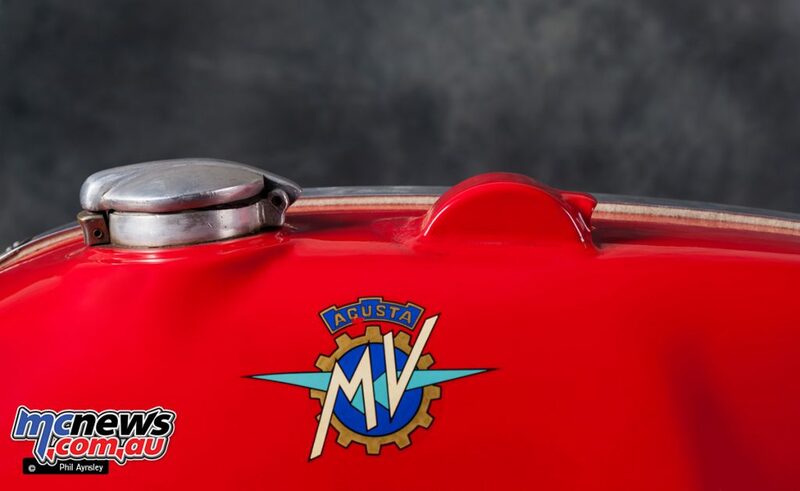 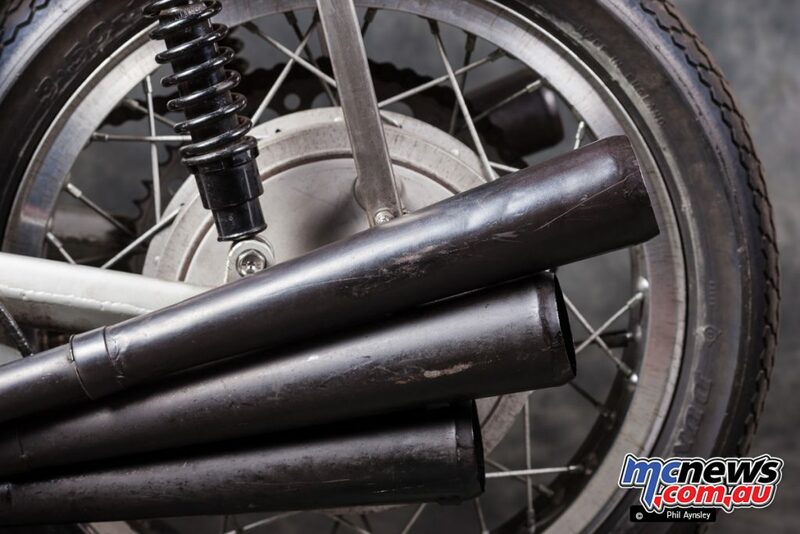 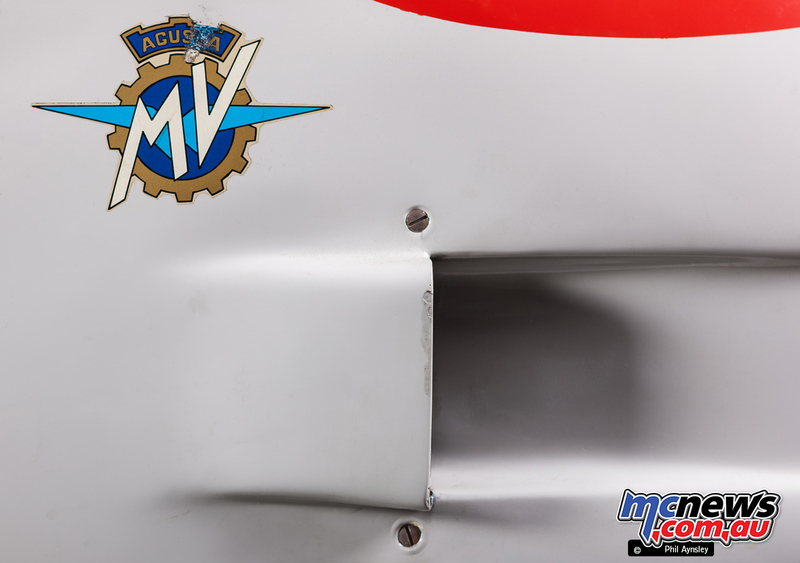 MV Agusta had their 500/4 but were looking to make the next step – enter the MV Agusta 500/6. 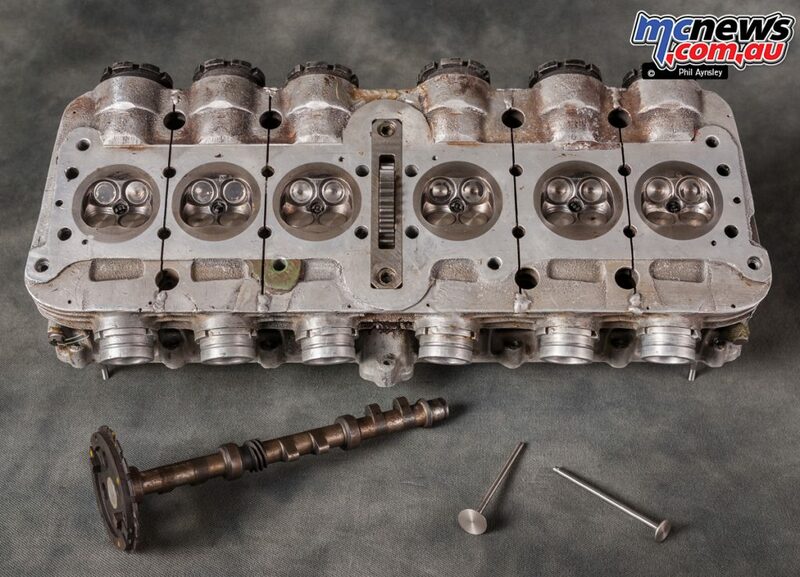 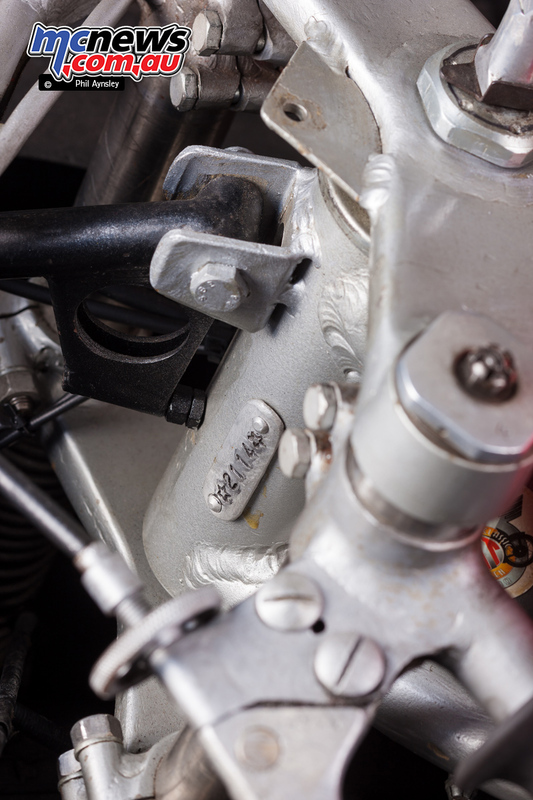 Conceived in 1956 and first run in mid 1957, the two-valve per cylinder DOHC six-cylinder was used in practice in the last round of the ’57 season, at Monza. 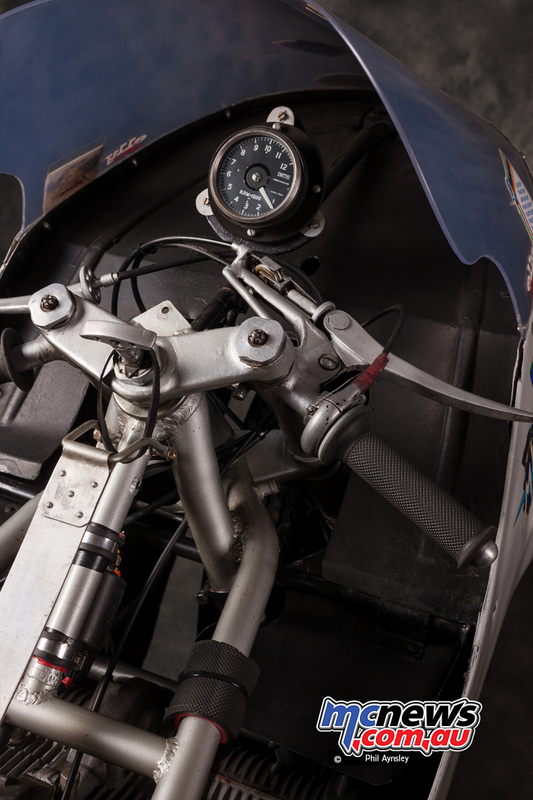 It was deemed to require more development work and thus didn’t make its racing debut until the same round the following year – where John Hartle was forced to retire with a broken con-rod after 19 of 35 laps. 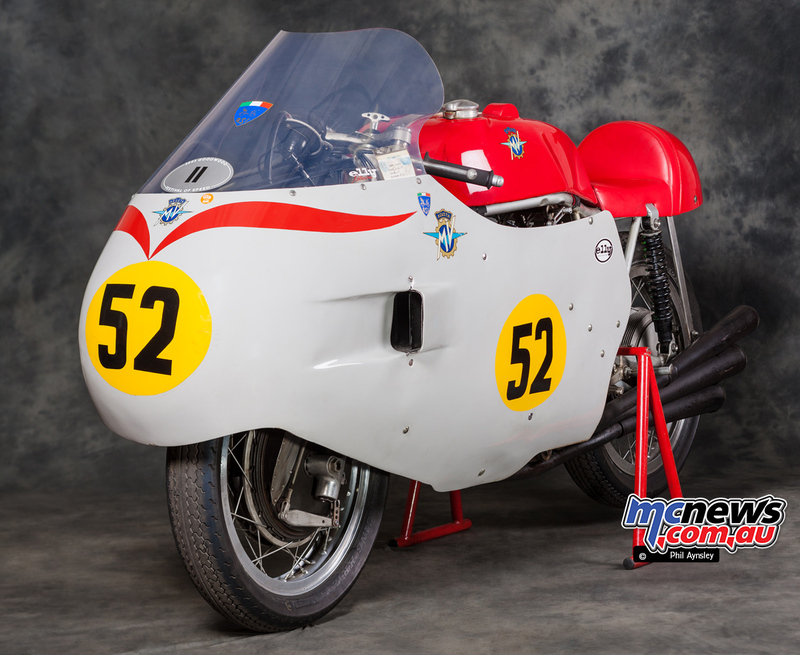 As it turned out that was to be the bike’s only race as the 500/4 proved to be more than competitive enough in the depleted fields of post 1958 GPs (after the withdrawal of Gilera, Moto Guzzi etc). 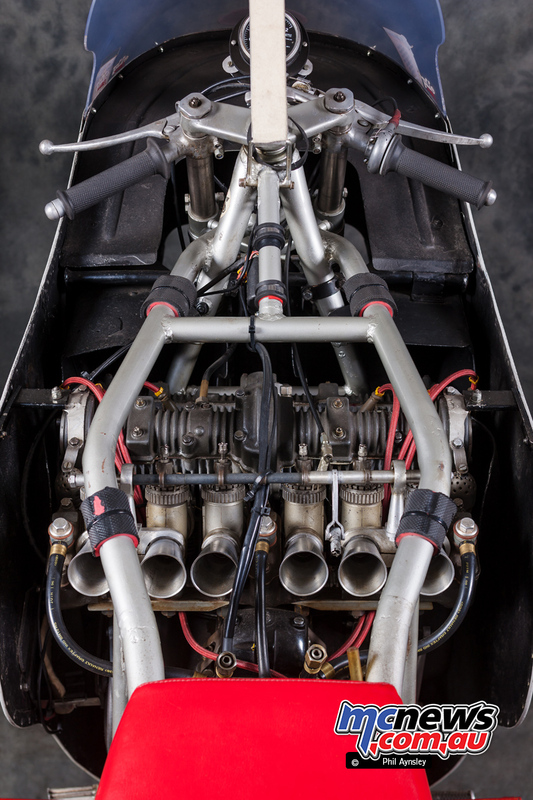 It made a final appearance in practice at the 1959 Monza round. 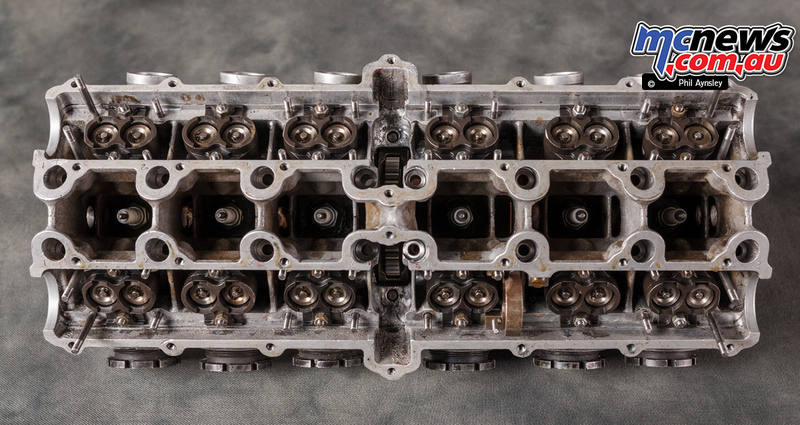 The transverse six is quite a sight to behold. 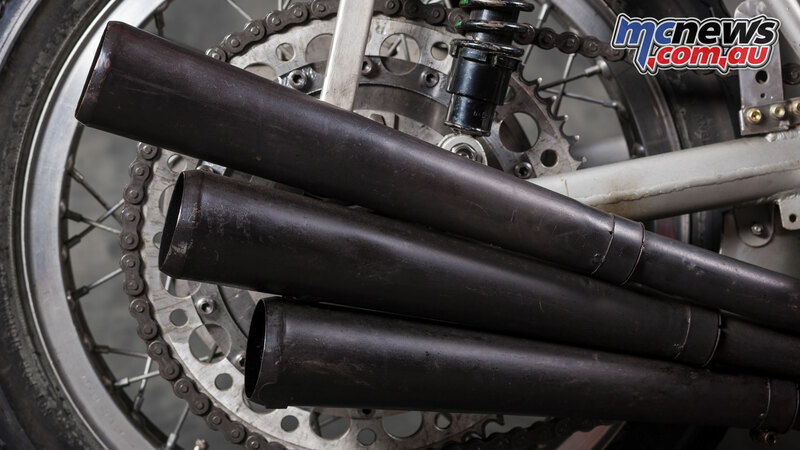 Each cylinder is only 83 cc (46.2 x 49.5 mm). 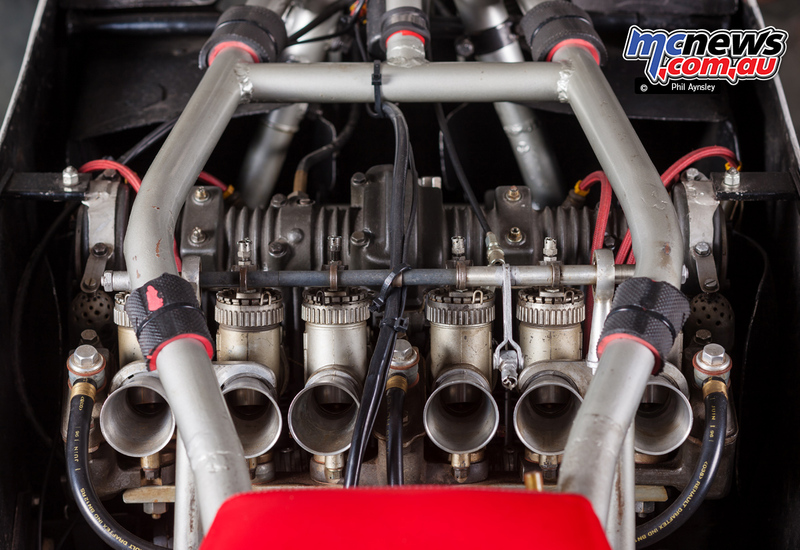 When first shown power was around 75 hp at 15,000 rpm, with a top speed of 240 km/h. 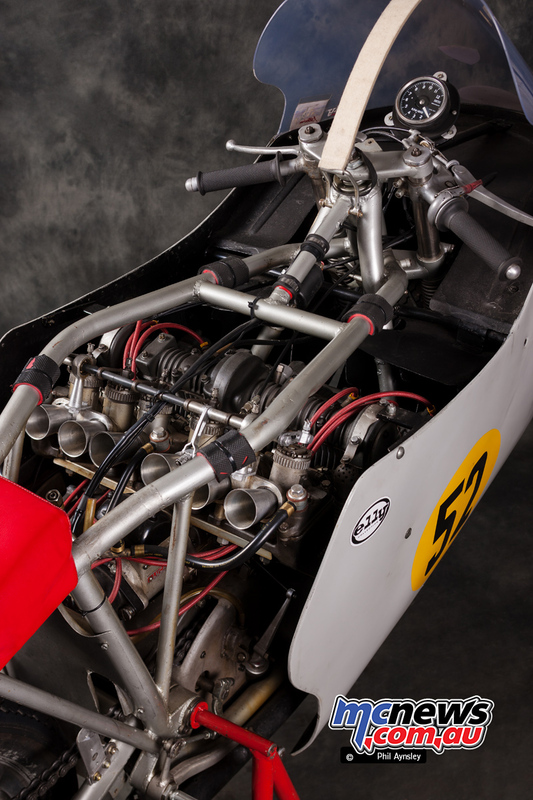 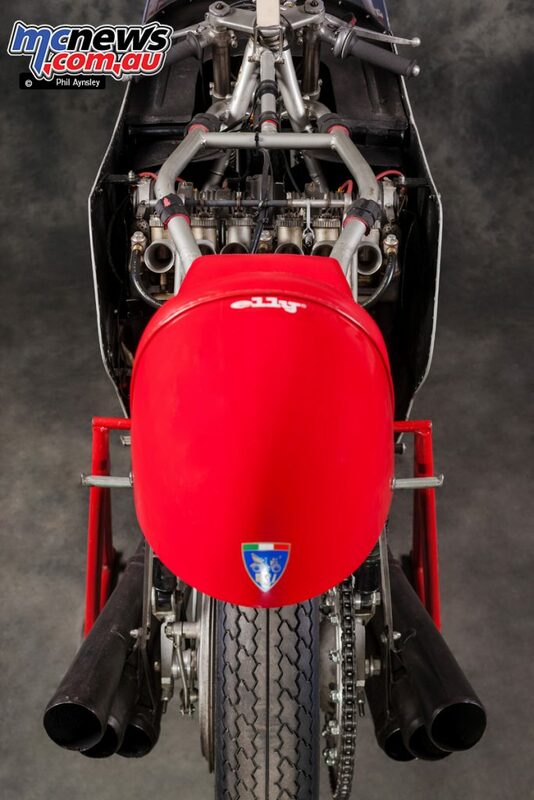 A 350cc version was later developed and raced at Modena in 1971. 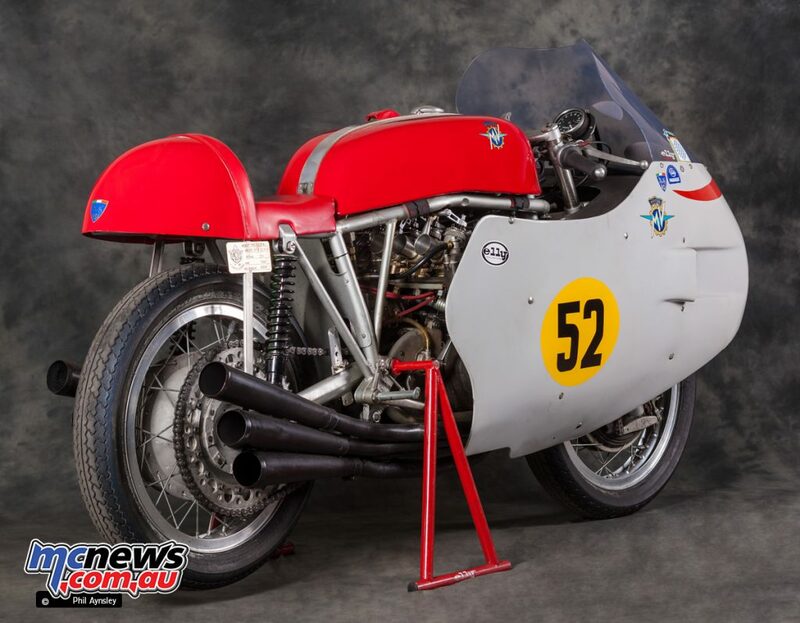 This bike is occasionally seen at classic events, including Phillip Island in 2003.